The SLO Ultra takes place on the Wild Cherry Canyon private open space, and supports the Land Conservancy of San Luis Obispo County. Photo by Harry Lefrak / Lefrak Photography. 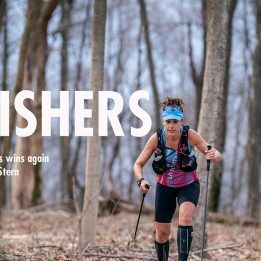 The Trail Runner Trophy Series, presented by Altra Running, is a points-based race series, with 186 events of all distances, all around the country. The series begins in March and culminates in September. Grand prizes are awarded to the runner who logs the most miles, and the runner who runs the most races. 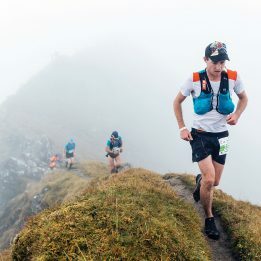 The “Mile Mogul” wins a Run the Alps trail-running tour through the French and Swiss alps, while the “Trail Fiend” wins a coveted spot on the cover of Trail Runnermagazine. The Trophy Series is well under way for the season. Here are some updates and stories from the last few weeks. 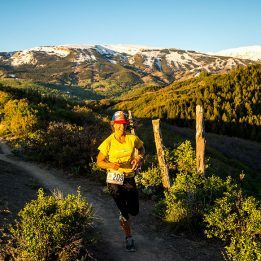 Dale Reicheneder, the 2016 Trophy Series “Trail Fiend” Champion, is currently in first place for winning the cover shot, while Bert Blackbird is the lead for the trail-running tour in the Alps. The SLO Ultra 50 takes place on the Wild Cherry Canyon property, an open space jointly owned by the American Land Conservancy and PG&E. The SLO Ultra, and accompanying marathon, half marathon and 5 miler, is a fundraiser for the local Land Conservancy of San Luis Obispo County, which is trying to raise enough money to buy the 2,400-acre property and hand it over to the California State Parks system. The 50-miler was won by Franz van der Groen, 33, of San Rafael, California, in 7:12:04, and by Michele Van Ornum, 48, of Fresno, California, in 9:27:22. Race day dawned chilly, but quickly warmed up, and finished with a Bluegrass festival, featuring local band Snap Jackson and the Knock on Wood Players. 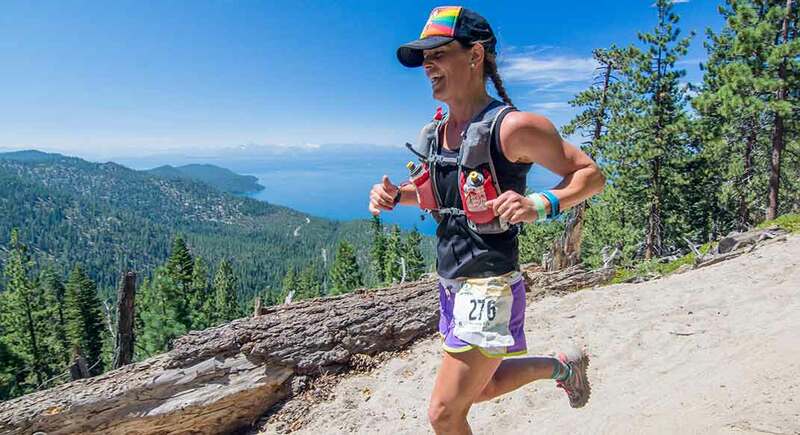 The Marlette Lake 50K takes place in western Nevada, with pristine singletrack around Marlette Lake and overlooking Lake Tahoe. This year’s race was won by Jesse Wensel, 37, of Boise, Idaho, with Conor Drewes, 19, of Incline Village, Nevada coming in a close second. Third place went to Ashley Hall (also first-place female). Hall’s months of course-specific prep paid off: she settled into a brisk power hike up Snow Valley Peak. By the time she dropped off the summit and on to the next climb, she had opened up a lead and was running alone.